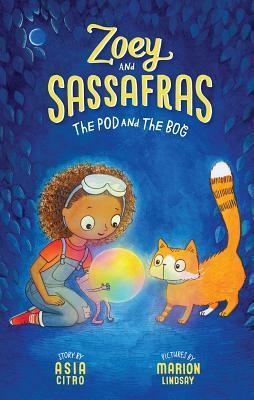 Zoey and Sassafras: Science Process in an Early Chapter Book = Love! Overview of the Series: Written by a former science teacher 🙂 the Zoey and Sassafras series takes you through the scientific process with your very capable guide, Zoey and her sidekick Sassafras. Zoey is a fan of nature, wonder, questions, and has a strong desire to help all animals (including magical ones) through her knowledge and use of science. Readers will delight in this relatable character and adults (like teachers and parents) will love the clear but discovery based approach to science and how the main guide (the mom) doesn’t step in, but poses questions so that Zoey can reach her own conclusions and next steps. 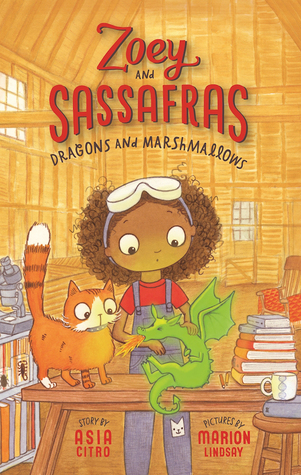 Zoey and Sassafras: Dragons and Marshmallow: After discovering an interesting photo, that reveals a family secret, Zoey meets a sick young dragon that is need of her help. I loved the specific science process connections and the trial and error as Zoey had to work through a problem on her own with just the knowledge and tools around her. 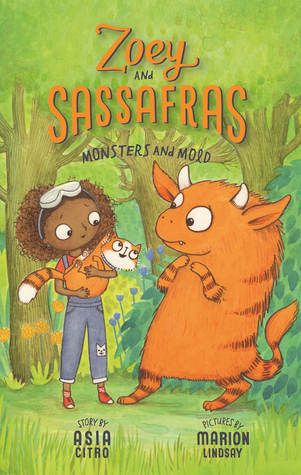 Zoey and Sassafras: Monsters and Mold: A grown forest monster, matching the colorings of Sassafras, shows up in need of support to fix an embarrassing problem…mold on his fur. Yikes! Zoey is put to the test as she has to process through the scientific method a few times before reaching her conclusion. Her process mimics many pathways of taking a simple solution to a complex problem, which provides great opportunities for misconception conversations, misunderstanding conversations, and some experiments of your own. In addition, I really love the scientific method clearly displayed in this story, along with other science practices: growth mindset, problem solving, what to do when it does work out, and giving yourself some thinking and reflecting time. This story also brings in control and variables. I want this collection for my school, especially for my K-2 teachers. 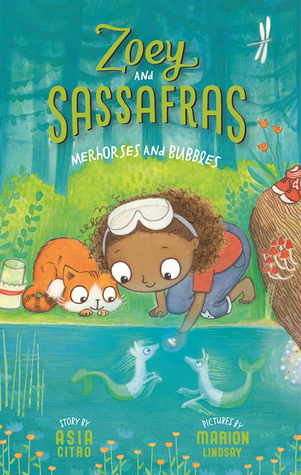 Zoey and Sassafras: Merhorses and Bubbles: Wow, this one got me thinking, wondering, questioning, and investigating the effect we have on nature, in particular our drainage systems and the local rivers. I don’t want to give anything away, but this would be a great read for that thought-provoking question and possible investigative project, both on a local level and a national or world level. I had an in depth conversation about (well, I won’t spoil it) it with my boyfriend while on a nature walk, all to the thanks of Zoey and Sassafras. 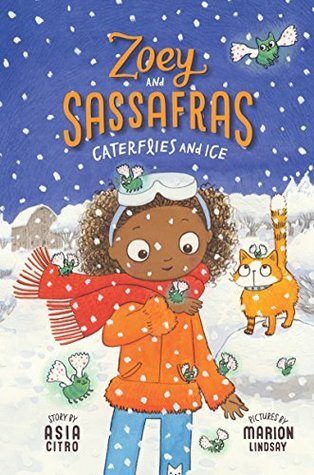 Zoey and Sassafras: Caterflies and Ice: First off, what a cute and clever concept for a magical creature! As a cat fan, I loved it! 🙂 Ok, back to the story…an unexpected spring snowstorm hits and causes some trouble for a nearby group (Kaleidoscope? Swarm? Rabble?) of caterflies, their eggs, and their host plant…catnip. A few group members seek out Zoey for help and she has to use her background knowledge to help solve the problem…which she does…but, unknown to her (at the time) it also causes some additional harm. Asia Citro does a great job of capturing Zoey’s emotional struggle and scientific struggle as she explores time sensitive solutions. While I love this series for the problem solving approach of Zoey’s character, I especially love how this book also demonstrates that sometimes you really need to seek out the advice of the more experienced other…scientists don’t work alone. I didn’t think I was going to be able to read this one. 😦 It took quite the time to get it from the library, but it finally came! 🙂 In this book Zoey wraps up the notes on her own plant experiment, and is ready for a bedtime read from her mom, when they both hear the barn doorbell. It is their good friend Pip with quite the mysterious and colorful pod. In order to return the pod to the right habitat, the trio, especially Zoey, need to tap into all they know about plants, habitats, and the connecting thread…what type of habitats certain plants need in order to survive. It is a race against time to help save this species of plant. The time pressure is a stress pressure for Zoey…and isn’t it for us all? Multiple lessons learned and demonstrated here, beyond the typical science process ones, for stress, unfortunately, is often part of the process, but where we go for support and how we react is key.